Looking for a squeeze bottle with tips that let you decorate exactly the way you want? Get Floline’s set of 3 plastic bottles. The interchangeable tips are made from stainless steel. 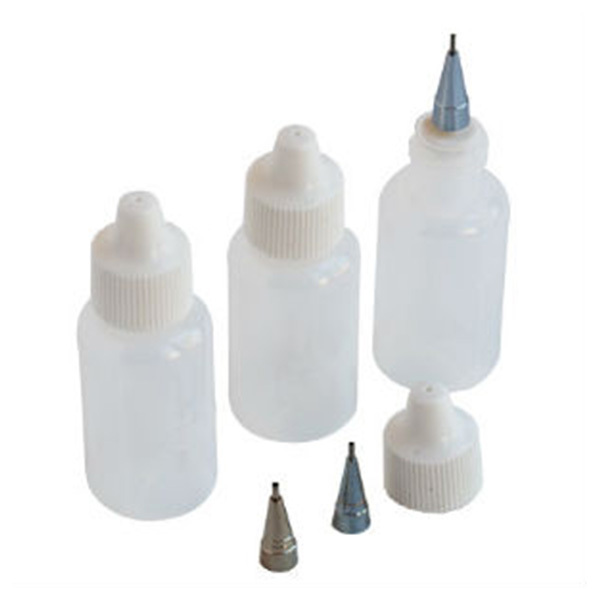 Use with water-based paints or inks to decorate ceramics, cakes, models and miniatures. Tip sizes: 0.5, 0.7, 0.9 mm.